Vikrant’s mission is to serve small to medium sized companies by helping to effectively plan, execute, and outsource large portions of their marketing programs. He help entrepreneurs, clean-tech, and software companies architect marketing departments into “profit centers” by building information products & training programs that generate revenue exceeding initial marketing costs. From web development, brand management, creative design, strategy analysis, and much more, he likely have a way to get your project done – quickly, less costly, and more efficiently.  CODIANT is a leading Mobility And Custom Web Product Development Company with an immense experience in delivering customized services in the field of Mobile App & Web Development, UX Development, Enterprise Mobility Solutions, and Application Maintenance Services for fortune 500 organizations, mid-size enterprises and startups. Codiant is at the forefront of innovation to address the fast-changing needs of the markets like On-demand, Healthcare & Fitness, Travel & tourism, Ecommerce, Banking, Finance & Insurance, Social networking, Digital Wallets, Bit Coin, Augmented Reality, Artificial Intelligence, Internet of Things (IoT), Big Data, and other globally changing industries. 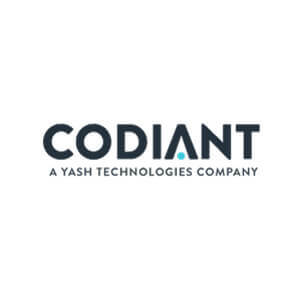 At Codiant, our deep-domain experience gives our client a distinct advantage, helping them manage their businesses and transform into a smarter organization. We pledge our unwavering commitment to build deep and impactful client relationships and offer software solutions that are professional and budget friendly. For us developing mobile application is not just software programming, it is about developing an experience for the end user and delivering a solution to businesses as intended. Each application delivered by Codiant goes through rigorous cycle of requirement consolidation, user centered experience design processes, development sprints and meticulously assured for quality. We have delivered over 700 mobile apps using MVVM, ObjectiveC, Swift and React Native based on the client preferences of technology. Understanding the tech landscape future is the key for evolution of any technology services provider company. We spend significant time and resources on R&D exercises to ensure that we are prepared for any challenge that is thrown our way by a client or changing technologies. We have substantial training programs in place for enhancing skill sets of the team to bridge any gaps for the future. In mobility, there are many factors that influence the choice of tech stack and platform for development. Each app has a specific set of requirements and context of usage. After analyzing core features and functionalities for the client’s requirements, we factor in all the variables such as scale, sensors dependencies, usage urgency, and connectivity dependencies before recommending a platform that is best suited for client’s end business objective. We are looking to expand our portfolio in fintech solutions along with travel and closed social media platforms. An expansion to our already thriving healthcare and fitness portfolio is also on the cards. 6. How do you scheme your pricing model? How do you fix your budget? We deliver our services in different engagement models including fixed price, time & material, and resource allocation model that best fit needs of our clients to launch the product. And eventually, pricing depends on the number of features and complexities involved in the project. 7. Define your future prospective and vision regarding new technologies like Artificial Intelligence, Chatbots, IoT apps, Augmented Reality apps and Virtual Reality apps? In the past couple of years, we have delivered apps with integration of IoT, AR, and Chatbots. We understand that IoT is here to stay and a lot of work that we are doing for healthcare sector consolidates our belief. AR and Chatbots (with AI) will lead the next tech revolution. 8. What are your favorite industry verticals for 2018 – 2019 and why? Healthcare and fitness is definitely the best vertical to be excited about for not just this year but the next as well. With IoT and AI, this is going to be a game changing year in terms of personal and family care. The service sector, as always, remains the strongest of all. On-Demand services and scheduling solutions along with marketplaces are here to stay. Another vertical we are looking ahead is for the finance sector. The scope for virtualization of currency has never been better. A lot of markets are looking into virtual payments as real value transactions and we at Codiant are prepared for it. 9. What product/service and in which category you would like to build/offer to establish or redefine your authenticity and expertise in your operational domain? We definitely aim high for redefining domains and industries like healthcare and on-demand service sectors. And hopefully, we are evolving in synch for the new incarnation of these sectors.